This is the city cemetery owned and maintained by the City of Independence MO. According to tradition the Indians (Native Americans) used this land as a burying ground and the white settlers began to use it for their dead. The cemetery was founded in 1837 with the purchase of 1.25 acres adjacent to the Stayton Family Cemetery for the "interment of all Jackson County residents". In 1845 Joseph and Sally Hansbrough sold one and 6/25 acres of land for use as a grave yard for persons of Jackson County. The land was to be used for the purpose of public burials. This established the cemetery known for many years as the City Cemetery. The land south of the original cemetery was sold to Father Donnelly in 1853 adding six acres on the southern edge calling it Saint Mary Cemetery for the use of Catholic patrons. These three cemeteries were combined in 1922 to become Woodlawn Cemetery. 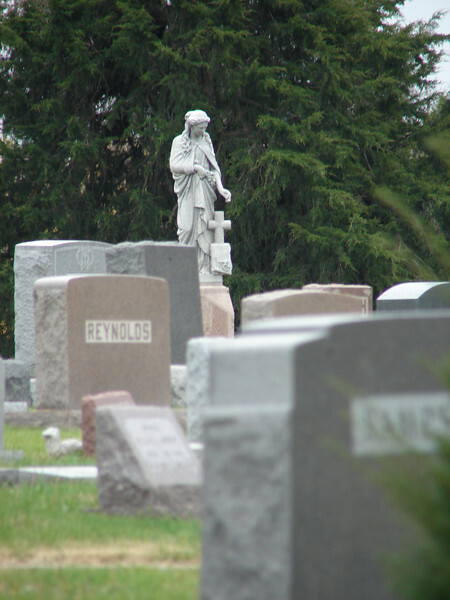 The Woodland Cemetery now contains 56 acres, the final resting place for over 33,000 graves. Within its walls is the history of the Civil War and the Sante Fe Trail.